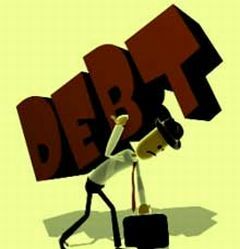 During April-June 2011, country’s external debt increased by 3.4% to $316.9 billion as compared to $306.35 billion in January-March 2011 quarter. “The increase in external debt was largely on account of rise in commercial borrowings and short-term trade credits,” said Namo Narain Meena, Minister of State for Finance. The prudent external debt management policy being followed by the government lays emphasis on monitoring of long and short term debt, raising concessional sovereign loans and regulating ECBs. As a result, the external debt to Gross Domestic Product (GDP) ratio has declined from 21.1% in 2001-02 to 17.3% in 2010-11.